Folke Bernadotte, Count of Wisborg (Swedish: Greve af Wisborg; 2 January 1895 – 17 September 1948) was a Swedish diplomat and nobleman. 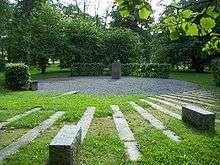 During World War II he negotiated the release of about 31,000 prisoners from German concentration camps including 450 Danish Jews from the Theresienstadt camp. They were released on 14 April 1945. In 1945, he received a German surrender offer from Heinrich Himmler, though the offer was ultimately rejected. After the war, Bernadotte was unanimously chosen to be the United Nations Security Council mediator in the Arab–Israeli conflict of 1947–1948. He was assassinated in Jerusalem in 1948 by the militant Zionist group Lehi while pursuing his official duties. Upon his death, Ralph Bunche took up his work at the UN, but was removed from the post around six months after Bernadotte was assassinated, at the critical period of recognition of the fledgling state. Folke Bernadotte was born in Stockholm into the House of Bernadotte. He was the son of Count Oscar Bernadotte of Wisborg (formerly Prince Oscar of Sweden, Duke of Gotland) and his wife Ebba Munck af Fulkila. His grandfather was King Oscar II of Sweden. Bernadotte attended school in Stockholm, after which he entered training to become a cavalry officer at the Royal Military Academy. He took the officer's exam in 1915, was commissioned a lieutenant in 1918, and subsequently was promoted to the rank of major. Bernadotte represented Sweden in 1933 at the Chicago Century of Progress Exposition, and later served as Swedish commissioner general at the New York World's Fair in 1939–40. Bernadotte had long been involved with the Swedish Boy Scouts (Sveriges Scoutförbund), and took over as director of the organization in 1937. At the outbreak of World War II, Bernadotte worked to integrate the scouts into Sweden's defense plan, training them in anti-aircraft work and as medical assistants. Bernadotte was appointed vice chairman of the Swedish Red Cross in 1943. While vice-president of the Swedish Red Cross in 1945, Bernadotte attempted to negotiate an armistice between Germany and the Allies. He also led several rescue missions in Germany for the Red Cross. During the autumns of 1943 and 1944, he organized prisoner exchanges which brought home 11,000 prisoners from Germany via Sweden. In April 1945, Heinrich Himmler asked Bernadotte to convey a peace proposal to Prime Minister Winston Churchill and President Harry S. Truman without the knowledge of Adolf Hitler. The main point of the proposal was that Germany would only surrender to the Western Allies (the United Kingdom and the United States), but would be allowed to continue resisting the Soviet Union. According to Bernadotte, he told Himmler that the proposal had no chance of acceptance, but nevertheless he passed it on to the Swedish government and the Western Allies. It had no lasting effect. 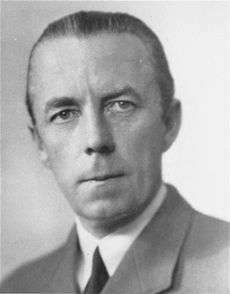 Upon the initiative of the Norwegian diplomat Niels Christian Ditleff in the final months of the war, Bernadotte acted as the negotiator for a rescue operation transporting interned Norwegians, Danes and other western European inmates from German concentration camps to hospitals in Sweden. In the spring of 1945, Bernadotte was in Germany when he met Heinrich Himmler, who was briefly appointed commander of an entire German army following the assassination attempt on Hitler the year before. Bernadotte had originally been assigned to retrieve Norwegian and Danish POWs in Germany. He returned on 1 May 1945, the day after Hitler's death. Following an interview, the Swedish newspaper Svenska Dagbladet wrote that Bernadotte succeeded in rescuing 15,000 people from German concentration camps, including about 8000 Danes and Norwegians and 7000 women of French, Polish, Czech, British, American, Argentinian, and Chinese nationalities. The missions took around two months, and exposed the Swedish Red Cross staff to significant danger, both due to political difficulties and by taking them through areas under Allied bombing. The mission became known for its buses, painted entirely white except for the Red Cross emblem on the side, so that they would not be mistaken for military targets. In total it included 308 personnel (about 20 medics and the rest volunteer soldiers), 36 hospital buses, 19 trucks, seven passenger cars, seven motorcycles, a tow truck, a field kitchen, and full supplies for the entire trip, including food and gasoline, none of which was permitted to be obtained in Germany. A count of 21,000 people rescued included 8,000 Danes and Norwegians, 5,911 Poles, 2,629 French, 1,615 Jews, and 1,124 Germans. 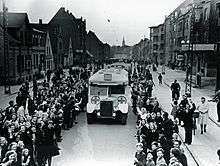 After Germany's surrender, the White Buses mission continued in May and June and about 10,000 additional liberated prisoners were thus evacuated. Bernadotte recounted the White Buses mission in his book The End. My Humanitarian Negotiations in Germany in 1945 and Their Political Consequences, published on June 15, 1945 in Swedish. In the book, Bernadotte recounts his negotiations with Himmler and others, and his experience at the Ravensbrück concentration camp. Following the war, some controversies arose regarding Bernadotte's leadership of the White Buses expedition, some personal and some as to the mission itself. One aspect involved a long-standing feud between Bernadotte and Himmler's personal masseur, Felix Kersten, who had played some role in facilitating Bernadotte's access to Himmler, but whom Bernadotte resisted crediting after the war. The resulting feud between Bernadotte and Kersten came to public attention through British historian Hugh Trevor-Roper. In 1953, Trevor-Roper published an article based on an interview and documents originating with Kersten. The article stated that Bernadotte's role in the rescue operations was that of "transport officer, no more". Kersten was quoted as saying, according to Himmler, Bernadotte was opposed to the rescue of Jews and understood "the necessity of our fight against World Jewry". Shortly following the publication of his article, Trevor-Roper began to retreat from these charges. At the time of his article, Kersten had just been nominated by the Dutch government for the Nobel Peace Prize for thwarting a Nazi plan to deport the entire Dutch population, based primarily on Kersten's own claims to this effect. A later Dutch investigation concluded that no such plan had existed, however, and that Kersten's documents were partly fabricated. Following these revelations and others, Trevor-Roper told journalist Barbara Amiel in 1995 that he was no longer certain about the allegations, and that Bernadotte may merely have been following his orders to rescue Danish and Norwegian prisoners. A number of other historians have also questioned Kersten's account, concluding that the accusations were based on a forgery or a distortion devised by Kersten. Some controversy regarding the White Buses trip has also arisen in Scandinavia, particularly regarding the priority given to Scandinavian prisoners. Political scientist Sune Persson judged these doubts to be contradicted by the documentary evidence. He concluded, "The accusations against Count Bernadotte ... to the effect that he refused to save Jews from the concentration camps are obvious lies" and listed many prominent eyewitnesses who testified on Bernadotte's behalf, including the World Jewish Congress representative in Stockholm in 1945. On 20 May 1948, Folke Bernadotte was appointed "United Nations Mediator in Palestine", in accordance with UN-resolution 186 of 14 May 1948. It was the first official mediation in the UN's history. This was necessitated by the immediate violence that followed the United Nations Partition Plan for Palestine and the subsequent unilateral Israeli Declaration of Independence. In this capacity, he succeeded in achieving an initial truce during the subsequent 1948 Arab–Israeli War and laid the groundwork for the United Nations Relief and Works Agency for Palestine Refugees in the Near East. The specific proposals showed the influence of the previously responsible British government, and to a lesser extent the U.S. government. Historian Elad Ben-Dror asserts that the person who was really responsible for the first Bernadotte Plan was Bernadotte's deputy, Ralph Bunche. Bunche made a major effort to imbue it with his own thinking about the appropriate political solution. He was influenced by the ideas of Dr. Judah Magnes and incorporated them into the plan, chiefly in its basic scheme, which called for a confederation in Palestine rather than a Jewish state and an Arab state. Peace must return to Palestine and every feasible measure should be taken to ensure that hostilities will not be resumed and that harmonious relations between Arab and Jew will ultimately be restored. A Jewish State called Israel exists in Palestine and there are no sound reasons for assuming that it will not continue to do so. The boundaries of this new State must finally be fixed either by formal agreement between the parties concerned or failing that, by the United Nations. Adherence to the principle of geographical homogeneity and integration, which should be the major objective of the boundary arrangements, should apply equally to Arab and Jewish territories, whose frontiers should not therefore, be rigidly controlled by the territorial arrangements envisaged in the resolution of 29 November. The right of innocent people, uprooted from their homes by the present terror and ravages of war, to return to their homes, should be affirmed and made effective, with assurance of adequate compensation for the property of those who may choose not to return. The City of Jerusalem, because of its religious and international significance and the complexity of interests involved, should be accorded special and separate treatment. International responsibility should be expressed where desirable and necessary in the form of international guarantees, as a means of allaying existing fears, and particularly with regard to boundaries and human rights. The existing indefinite truce should be superseded by a formal peace, or at the minimum, an armistice. The frontiers between the Arab and Jewish territories, in the absence of agreement between Arabs and Jews, should be established by the United Nations. The Negev should be defined as Arab territory. The frontier should run from Al-Faluja north northeast to Ramleh and Lydda (both of which places would be in Arab territory). Galilee should be defined as Jewish territory. Haifa should be declared a free port, and Lydda airport should be declared a free airport. The City of Jerusalem, which should be understood as covering the area defined in the resolution of the General Assembly of 29 November, should be treated separately and should be placed under effective United Nations control with maximum feasible local autonomy for its Arab and Jewish communities with full safeguards for the protection of the Holy Places and sites and free access to them and for religious freedom. The United Nations should establish a Palestine conciliation commission. The right of the Arab refugees to return to their homes in Jewish-controlled territory at the earliest possible date should be affirmed by the United Nations, and their repatriation, resettlement and economic and social rehabilitation, and payment of adequate compensation for the property of those choosing not to return, should be supervised and assisted by the United Nations conciliation commission. Bernadotte's second proposal was prepared in consultation with British and American emissaries. The degree to which they influenced the proposal is poorly known, since the meetings were kept strictly secret and all documents were destroyed, but Bernadotte apparently "found that the U.S.-U.K., proposals were very much in accord with his own views" and the two emissaries expressed the same opinion. The secret was publicly exposed in October, only nine days before the U.S. presidential elections, causing U.S. President Harry S. Truman great embarrassment. Truman reacted by making a strongly pro-Zionist declaration, which contributed to the defeat of the Bernadotte plan in the UN during the next two months. Also contributing was the failure of the cease-fire and continuation of the fighting. After Bernadotte's death, his assistant American mediator Ralph Bunche was appointed to replace him. Bunche eventually negotiated a ceasefire, signed on the Greek island of Rhodes. See 1949 Armistice Agreements. The Israeli government criticized Bernadotte's participation in the negotiations. In July 1948, Bernadotte said that the Arab nations were reluctant to resume the fighting in Palestine and that the conflict now consisted of "incidents." A spokesman for the Israeli government replied: "Count Bernadotte has described the renewed Arab attacks as 'incidents.' When human lives are lost, when the truce is flagrantly violated and the SC defied, it shows a lack of sensitivity to describe all these as incidents, or to suggest as Count Bernadotte does, that the Arabs had some reason for saying no... Such an apology for aggression does not augur well for any successful resumption by the mediator of his mission." Bernadotte wrote that: "in putting forward any proposal for the solution of the Palestine problem, one must bear in mind the aspirations of the Jews, the political difficulties and differences of opinion of the Arab leaders, the strategic interests of Great Britain, the financial commitment of the United States and the Soviet Union, the outcome of the war, and finally the authority and prestige of the United Nations." 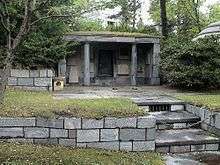 Bernadotte family grave in Solna where the remains of Prince Oscar Bernadotte also are interred. In the Katamon quarter, we were held up by a Jewish Army type jeep placed in a road block and filled with men in Jewish Army uniforms. At the same moment, I saw an armed man coming from this jeep. I took little notice of this because I merely thought it was another checkpoint. However, he put a Tommy gun through the open window on my side of the car, and fired point blank at Count Bernadotte and Colonel Serot. I also heard shots fired from other points, and there was considerable confusion... Colonel Serot fell in the seat in back of me, and I saw at once that he was dead. Count Bernadotte bent forward, and I thought at the time he was trying to get cover. I asked him: 'Are you wounded?' He nodded, and fell back.... When we arrived [at the Hadassah hospital]... I carried the Count inside and laid him on the bed.... I took off the Count's jacket and tore away his shirt and undervest. I saw that he was wounded around the heart and that there was also a considerable quantity of blood on his clothes about it. When the doctor arrived, I asked if anything could be done, but he replied that it was too late. All four members of the hit team made it to the religious community of Shaarei Pina, where they hid with local Haredi Lehi sympathizers. After a few days in hiding, they fled to Tel Aviv in the back of a furniture truck. The following day the United Nations Security Council condemned the killing of Bernadotte as "a cowardly act which appears to have been committed by a criminal group of terrorists in Jerusalem while the United Nations representative was fulfilling his peace-seeking mission in the Holy Land." Bernadotte's body was moved to the YMCA, before being moved to Haifa and then flown back to Sweden, where the state funeral was attended by Abba Eban on behalf of Israel. Bernadotte was survived by a widow and two sons, a 12-year-old and a 17-year-old. He was buried at the Northern Cemetery in Stockholm. Lehi leaders initially denied responsibility for the attack. Later Lehi took responsibility for the killings in the name of Hazit Hamoledet (the National Front), a name they copied from a war-time Bulgarian resistance group. The group regarded Bernadotte as a stooge of the British and their Arab allies, and therefore as a serious threat to the emerging state of Israel. Most immediately, a truce was in force and Lehi feared that the Israeli leadership would agree to Bernadotte's peace proposals, which they considered disastrous. They did not know that the Israeli leaders had already decided to reject Bernadotte's plans and take the military option. Betty Knut-Lazarus, a Lehi militant, and the granddaughter of composer Alexander Scriabin, was also imprisoned for being allegedly involved in the killing, before being subsequently released. Lehi was forcibly disarmed and many members were arrested, but nobody was charged with the killings. The Israel Police, along with the military police and security services, investigated the assassination, but failed to identify any of the participants in the assassination, and the case was eventually closed without any of the participants having been identified. It has been suggested that the reasons for the failure of the investigation were poor coordination between these bodies, which resulted in information that may have assisted the police not being turned over to them, and the lack of proficiency among police officers and investigators in the early days of the Israel Police. Yellin-Mor and another Lehi member, Mattityahu Shmulevitz, were charged with belonging to a terrorist organization. They were found guilty but immediately released and pardoned. Yellin-Mor had meanwhile been elected to the first Knesset. Years later, Cohen's role was uncovered by David Ben-Gurion's biographer Michael Bar Zohar, while Cohen was working as Ben-Gurion's personal bodyguard. The first public admission of Lehi's role in the killing was made on the anniversary of the assassination in 1977. The statute of limitations for the murder had expired in 1971. The Swedish government believed that Bernadotte had been assassinated by Israeli government agents. They publicly attacked the inadequacy of the Israeli investigation, and campaigned unsuccessfully to delay Israel's admission to the United Nations. In 1950, Sweden recognized Israel, but relations remained frosty despite Israeli attempts to mollify Sweden, such as through the planting of a Bernadotte Forest by the Jewish National Fund in Israel. At a ceremony in Tel Aviv in May 1995, attended by the Swedish deputy prime minister, Israeli Foreign Minister and Labor Party member Shimon Peres issued a "condemnation of terror, thanks for the rescue of the Jews and regret that Bernadotte was murdered in a terrorist way," adding that "We hope this ceremony will help in healing the wound." Ralph Bunche, Bernadotte's American deputy, succeeded him as U.N. mediator. Bunche was successful in bringing about the signing of the 1949 Armistice Agreements, for which he received the Nobel Peace Prize. In 1998, Bernadotte was posthumously awarded one of the first three Dag Hammarskjöld Medals, given to UN peacekeepers who are killed in the line of duty. The university library at Gustavus Adolphus College in St. Peter, Minnesota, USA is named after him. In 1928 in Pleasantville, New York, Folke Bernadotte married Estelle Romaine Manville (1904–1984), whose family had founded part of the Johns-Manville Corporation. They had four sons, two of whom died in childhood. Seven grandchildren were all born after Folke Bernadotte's death. His widow Estelle Bernadotte remarried in 1973. Jeanne Birgitta Sofia Kristina Matthiessen, née Ericson (1921–1991), who was adopted by Carl G. W. Matthiessen (1886–1951) when he married Lillie Ericson in 1925. Bernadotte, Folke (1948). Instead of arms : autobiographical notes. Stockholm ; New York: Bonniers. ISBN 978-1125284537. ↑ A Jew talks to Himmler Frank Fox. Accessed: 1 December 2009. ↑ Macintyre, Donald (2008-09-18). 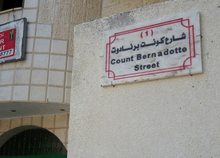 "Israel's forgotten hero: The assassination of Count Bernadotte – and the death of peace". London: The Independent. Retrieved 2008-12-11. ↑ Sune Persson, Folke Bernadotte and the White Buses, Journal of Holocaust Education, Vol 9, Iss 2–3, 2000, 237–268. Also published in David Cesarani and Paul A. Levine (eds. ), Bystanders to the Holocaust: A Re-evaluation (Routledge, 2002). The precise number is nowhere officially recorded. A count of the first 21,000 included 8,000 Danes and Norwegians, 5,911 Poles, 2,629 French, 1,615 stateless Jews and 1,124 Germans. The total number of Jews was 6,500 to 11,000 depending on definitions. Also see A. Ilan, Bernadotte in Palestine, 1948 (Macmillan, 1989), p. 37. ↑ Jewish Virtual Library, Folke Bernadotte Biography. Retrieved 22 March 2007. ↑ F. Bernadotte, The fall of the curtain : last days of the Third Reich, English Edition: Cassell 1945. ↑ Raymond Palmer. Felix Kersten and Count Bernadotte: A Question of Rescue, Journal of Contemporary History, vol. 29 (1994) pp. 39–51. Yehuda Bauer, Jews for Sale? Nazi-Jewish Negotiations, 1933–1945. Yale University Press, 1994. pp. 241–149. ↑ Amitzur Ilan. Bernadotte in Palestine, 1948, MacMillan 1989, p. 41. ↑ H. R. Trevor-Roper. Kersten, Himmler and Count Bernadotte, The Atlantic, vol 7 (1953), pp. 43–45. ↑ Louis de Jong, 1972, reprinted in German translation: H-H. Wilhelm and L. de Jong. Zwei Legenden aus dem dritten Reich : quellenkritische Studien, Deutsche Verlags-Anstalt 1974, pp. 79–142. ↑ Trevor-Roper stated, "I am not certain that Bernadotte refused to take Jews. I have some reservations about the documentation here. 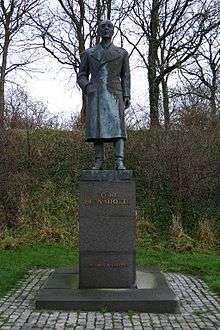 If he did, it may well have been that he simply had no instructions except in respect of Norwegians and Danes." Barbara Amiel. A Death in Jerusalem (book review), The National Interest, Summer 1995. ; also see Ilan, p. 262, for earlier concessions by Trevor-Roper. See also H. R. Trevor-Roper. Introduction to Felix Kersten: The Kersten Memoirs 1940–1945, English Edition: Hutchinson 1956. Reprinted with minor changes in: H. R. Trevor-Roper. The Strange Case of Himmler's Doctor, Commentary, vol. 23 (1957) pp. 356–364. ↑ G. Fleming. Die Herkunft des 'Bernadotte-Briefs' an Himmler vom 10. März 1945, Vierteljahrshefte für Zeitgeschichte, vol. 24, 1978, pp. 571–600. ↑ Sune Persson, Folke Bernadotte and the White Buses, J. Holocaust Education, Vol 9, Iss 2–3, 2000, 237–268. Also published in David Cesarani and Paul A. Levine (eds. ), Bystanders to the Holocaust: A Re-evaluation Routledge, 2002. ↑ Sachar, Howard M. (1998). "Chapter 1: The Pangs of Withdrawal". Israel and Europe: An Appraisal in History. Alfred A. Knopf. ISBN 978-0-679-45434-2. Retrieved 2008-12-28. ↑ Bernadotte, Folke. To Jerusalem, pp. 238–239; full report at Archived December 26, 2007, at the Wayback Machine. 1 2 Yvonne Schmidt (2008). Foundations of civil and political rights in Israel and the occupied territories. GRIN Verlag. p. 81. ISBN 978-3638944502. ↑ From the "Progress Report of the United Nations Mediator on Palestine" by Folke Bernadotte. 16 September 1948. United Nations General Assembly Doc. A/648. Part one, section V, paragraph 6. ↑ Gazit, Mordechai. American and British Diplomacy and the Bernadotte Mission. The Historical Journal, vol. 29, 1986, pp. 677–696. ↑ The Palestine Post, 12 July 1948. ↑ A. Ilan, Bernadotte in Palestine, 1948 (Macmillan, 1989) p. 194. ↑ J. Bowyer Bell, Assassination in International Politics, International Studies Quarterly, vol 16, March 1972, 59—82. 1 2 Haberman, Clyde (February 22, 1995). "Terrorism Can Be Just Another Point of View". Books of the Times. New York Times. Retrieved 2008-12-28. Mr. Shamir, nearly 80, still speaks elliptically about the Bernadotte assassination. Years later, when Ben-Gurion moved to a kibbutz in the Negev desert, Sdeh Bokker, one of his closest friends there was Yehoshua Cohen, who had been one of the assassins. Review of Kati Marton's biography. ↑ Cowell, Alan (2 November 1991). "THE MIDDLE EAST TALKS: REPORTER'S NOTEBOOK; Syria Offers Old Photo To Fill an Empty Chair". The New York Times. Retrieved 2008-12-28. In recent years, several members of the group known by the British as the Stern Gang have acknowledged responsibility for the killing. Mr. Shamir, who was a member of the Stern Gang, has declined to discuss the killing, and one of his spokesman has said he had no role in it. ↑ Kifner, John (12 September 1988). "2 Recount '48 Killing in Israel". New York Times. Retrieved 2008-12-28. ↑ "A murder waiting to happen" book review in Haaretz, 1 October 2006. Verified 23 October 2008. ↑ Bar Am, Aviva (January 25, 2010). "Katamon - Independence Day miracle". The Jerusalem Post. ↑ UN Department of Public Information, General Lundstrom Gives Eyewitness Account of Bernadotte's Death. 18 September 1948. Press Release, Doc.nr. PAL/298. ↑ Security Council 57 (1948) Resolution of 18 September 1948. Archived January 18, 2009, at the Wayback Machine. ↑ "Jews launch great manhunt". Spokane Daily Chronicle. 1945-09-18. Retrieved 23 April 2010. ↑ Heller, Joseph. The Stern Gang; Ideology, Politics and Terror 1940–1949. Frank Cass 1995 ISBN 978-0-7146-4106-5, pp. 252–253. For the text of the announcement, see: Stanger, C.D. A haunting legacy: The assassination of Count Bernadotte. Middle East Journal, vol. 42, 1988, pp 260–272. ↑ Ben-Yehuda, Nachman. Political Assassinations by Jews. SUNY Press 1993 ISBN 978-0-7914-1165-0, pp. 267–274. ↑ Ilan, Amitzur. Bernadotte in Palestine. MacMillan 1989 ISBN 978-0-333-47274-3, pp. 200–201. ↑ Shamir, loc. cit., p. 241. ↑ Yair Amikam, Yediot Aharonot, 28 February 1977: interview with Yehoshua Zetler and Yisrael Eldad. English translation in Journal of Palestine Studies, vol 6, no. 4 (1977) 145–147. ↑ "Israel belatedly condemns U.N. negotiator's murder" and "Israel tries to ease tensions with Sweden" (two articles), Reuters News, 15 May 1995. "Peres apologizes for assassination of Bernadotte," Jerusalem Post, 15 May 1995, p. 1. ↑ The First Dag Hammarskjöld Medals: Biographical Notes. ↑ "Bernadotte's unknown daughter" Fokus, 12 September 2008. Kushner, Harvey W. (2002). Encyclopedia of Terrorism. Sage Publications. ISBN 978-0-7619-2408-1. Schwartz, Ted (1992). Walking with the Damned: The Shocking Murder of the Man Who Freed 30,000 Prisoners From the Nazis. Paragon House, New York. ISBN 978-1-55778-315-8. Marton, Kati (1994). A Death in Jerusalem. Pantheon. ISBN 978-0-679-42083-5. Ben-Dror, Elad (2015). Ralph Bunche and the Arab-Israeli Conflict: Mediation and the UN 1947–1949,Routledge. ISBN 978-1138789883. Wikimedia Commons has media related to Folke Bernadotte.